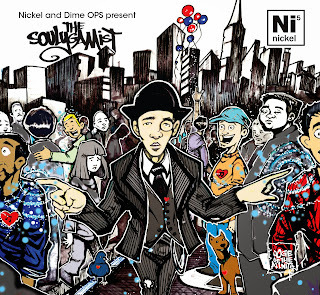 Wayne's Hip Hop Blog : A brief review of Nickel and Dime OPS' "The Soulygamist"
A brief review of Nickel and Dime OPS' "The Soulygamist"
Nickel and Dime OPS is a jazz infused hip hop band based out of New York City. 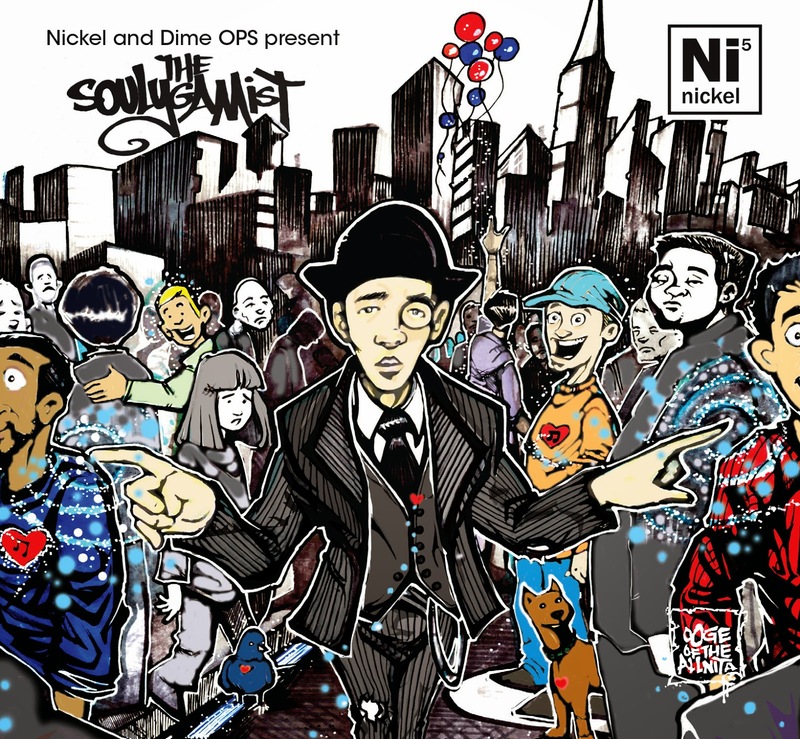 The group is lead by lyricist, Nickel Killsmics, and features female vocalist, Victoria Cave, alongside a septet of top jazz musicians playing hip hop beats. The combination of thought provoking lyrics and soulful grooves headed by their powerful 3 piece acclaimed horn section has been getting crowd approval at many different venues around the city. That description says it all right there. There are only four tracks to be found, so the review itself will be brief. Let's head right into it! "This is the cure for the common raps/They takin over the globe, so now we takin it back"
Four songs does seem short, so you can essentially call it an EP. It's very good throughout. Nickel with the bars, Victoria with the soulful hooks and a nice mix of hip hop/jazz influenced production makes this one a very good listen. The link is provided at the below. Check it out!